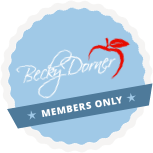 January 2017 Newsletter - Becky Dorner & Associates, Inc. Happy New Year! I hope you enjoyed your holiday season and you are refreshed and ready for an exciting 2017. We are kicking off our 2017 webinar series with important information on the new International Dysphagia Diet Initiative (IDDSI) brought to you by the co-chairs of the committee. This is exciting news as it is the first international guideline on dysphagia food and fluid consistencies. We hope you will join us for this special presentation, and watch for many new programs coming soon. Wishing you a happy, healthy 2017! The National Restaurant Association surveys over 1,300 professional chefs and highlights food trends for 2017. Updated information on product labeling was released by the U.S. Department of Agriculture (USDA) aimed at reducing food waste. The comparison of providers, facilities, and health plans associated with inpatient rehabilitation facilities and long-term care hospitals can now be done on the Centers for Medicare and Medicaid Services (CMS). The American Geriatric’s Society Health in Aging foundation recommends 10 healthy resolutions for seniors. A recent research study published in the New England Journal of Medicine concluded that lifestyle changes can reduce risk of heart disease as well as other diseases. Providers should be made aware of the potential of drug interactions. New study indicates that individuals at risk of developing hypertension that participate in yoga can reduce their blood pressure levels. A new research study shows that even a few minutes of walking a day can benefit individuals with advanced kidney failure. Congratulations to all candidates who are dedicated to leading us into our second century! 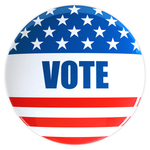 Please review the ballot and plan to vote from February 1-22. Celebrate Pride in Food Service Week! Recognize nutrition and food service staff by celebrating Pride in Food Service Week February 6-10, 2017. For more information visit ANFP. This unique facility in Washington allows opportunities for intergenerational programs on a daily basis. 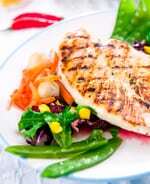 With a new year upon us, there are some healthcare trends including gourmet food and fabulous views. Learn how to comply with MDS 3.0, CMS regulations and guidance, incorporate the Academy’s Nutrition Care Process into documentation system, and stay current with standards of practice and competencies. Access essential tools and knowledge to meet the evolving needs of this growing population. 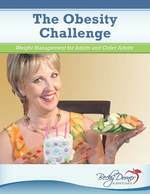 This book includes information on obesity trends, assessment and care plan, clinical documentation forms, and educational handouts. Helpful instructions on how to take accurate temperatures including: choosing the right thermometer, calibrating bimetallic thermometers, taking temperatures with metal stem thermometers; minimum cooking, holding and reheating temperatures; minimum food temperatures and holding times for reheating foods for hot holding, plus a sample forms. The Academy of Nutrition and Dietetics, Rockefeller Foundation, USDA, and the U.S. Environmental Protection Agency have partnered to provide resources to aid in cutting the nation’s food waste in half by 2030. The Dietary Guidelines are now available in convenient formats compatible with mobile phones, tablets, and e-readers. The e-zine contains a variety of news from evidence based sources, current news and mainstream media topics, current trends, and other information. All content in the Becky Dorner & Associates, Inc. e-zine represent the opinions of the authors, and not necessarily those of Becky Dorner & Associates, Inc. No endorsement of the author’s views should be inferred without it being specifically identified as such. Becky Dorner & Associates, Inc. does not assume responsibility for opinions expressed by the authors or individuals featured in the e-zine.